Alter The Press! 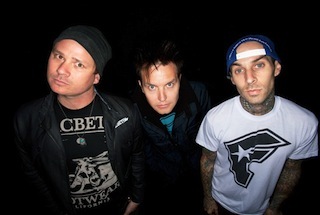 : Blink-182 To Announce Self-Titled Album Tour Tomorrow? Blink-182 To Announce Self-Titled Album Tour Tomorrow? After all the recent cryptic messages via Blink-182's Instagram account, hinting a potential ten year anniversary tour of the band's 2003 self-titled album, it looks like we might be getting some concrete news sooner than we thought. The band have now posted a new photo of numbers that includes the date 10/21, 7.30 (am or pm) and 1067 (106.7 is the KROQ radio station frequency). Could this be the time/date/location of the possible announcement? You decide.